View from Olympus takes the viewer on a journey into the life and music of contemporary New Zealand composer John Psathas. The son of Greek immigrants John Psathas’s reputation was sealed when he was commissioned to compose the music to the opening and closing ceremonies of the Athens Olympics in 2004. John Psathas, 44, has achieved extraordinary international praise as a composer to watch. Drawing from classical, jazz, rock and Greek folk tradition Psathas grabs audiences and takes them on a thrilling musical journey. 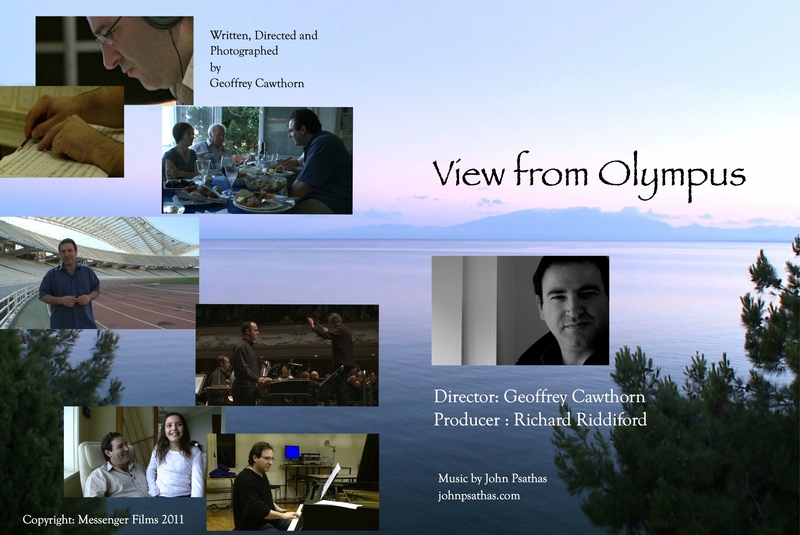 Directed by award winning filmmaker Geoffrey Cawthorn, View from Olympus is an intensely personal story about a man whose life and music is split between his Greek and New Zealand identities. Psathas grew up in a close immigrant family in small town New Zealand where his parents ran a fish and chip shop. When they and his sister returned to Greece John remained in New Zealand going on to forge a stellar career. Now, with his own young family established in New Zealand but with his parents aging, the film finds John at an emotional cross roads. Over the course of a year View from Olympus follows John as he embarks on new musical projects and has to confront a family crisis which highlights the tensions in his life. The film observes John at home in Wellington, where he works creating new music and teaching at the New Zealand School, then follows him back to the towns of his childhood and onto Greece for an emotional reunion with his parents. The film climaxes with a triumphant performance in Germany of his best-known work, View from Olympus. View from Olympus is a treat for music lovers of all tastes and features performances from Warren Maxwell and the Little Bushman, Pedro Carneiro, Donald Nicholson, Duo Gerassimez, Manos Achalinatopolous, Dino Mastroyannis and many more. John Psathas is an articulate and passionate subject and the exploration of the personal complexities that drive him makes for an engaging and moving film.